banana palms, hillside forests and white sandy beaches. When it comes to luxuriant beauty, this island has it in abundance. 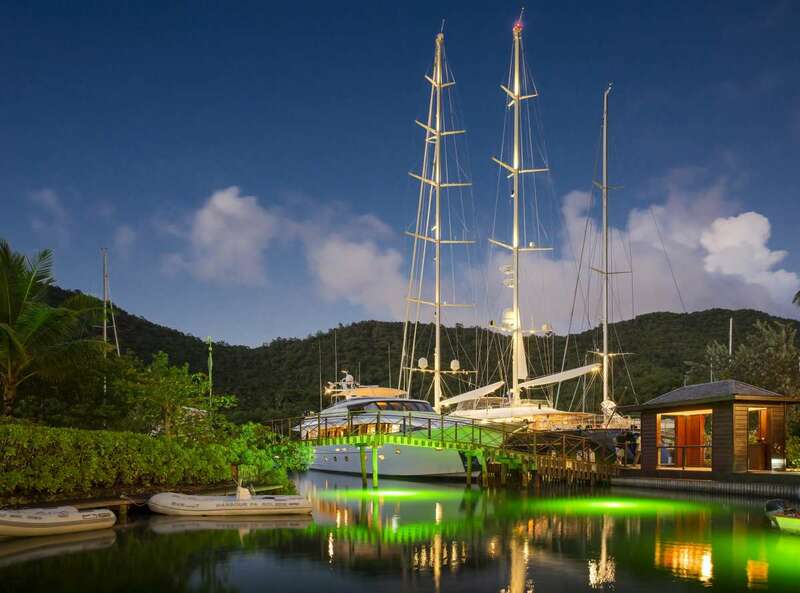 Following one of those twisty hills leads to the five star Capella Marigot Bay Resort and Marina. 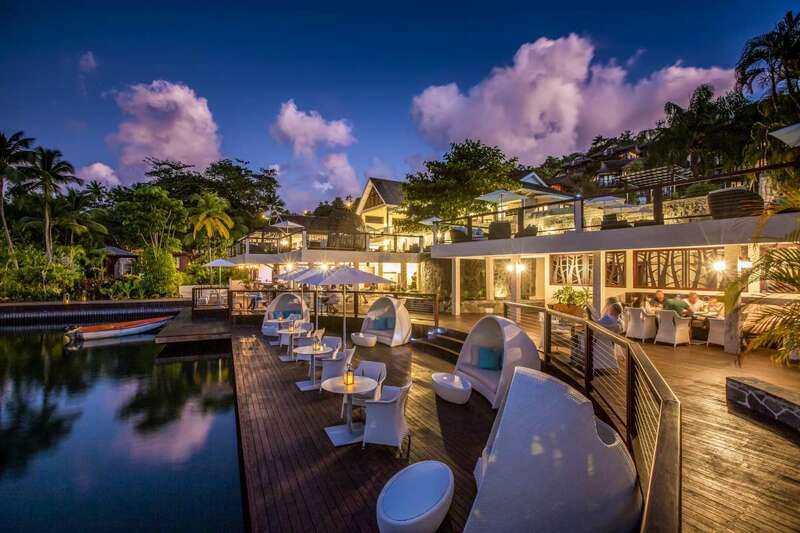 It’s carved into the hills around the natural harbour of Marigot bay and the first approach is to the hotel’s reception on the hilltop. You are greeted by a flurry of team members who take your bags, offer cold towels and a drink and generally make a fuss. From there a path leads to 127 rooms that cascade downwards towards undulating and lush landscape of the resort, the pools, restaurants, marina and shops. The property is now on its third incarnation. It had its first heyday in the 1950s when its bar, the celebrated Hurricane Hole, was the place to be seen, and stars including Ava Gardner were regulars. 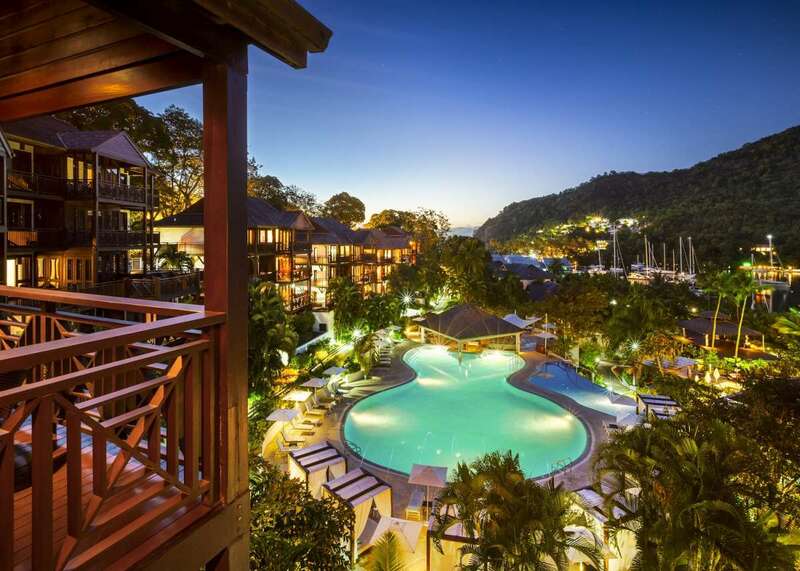 Then it became a Discovery resort but six years later, it was rebranded and newly refurbished by the expanding Capella hotel group for luxury seekers. The sprawling nature of the resort means you could get lost. Staff follow the motto “to take the guest to their point of comfort” which means not just pointing them in the right direction but actually taking them to their destination, regardless of what they might be doing. The air-conditioned rooms are very spacious, cool and shady to escape the tropical sun with lashings of teak wood floors, doors and shutters and balcony. 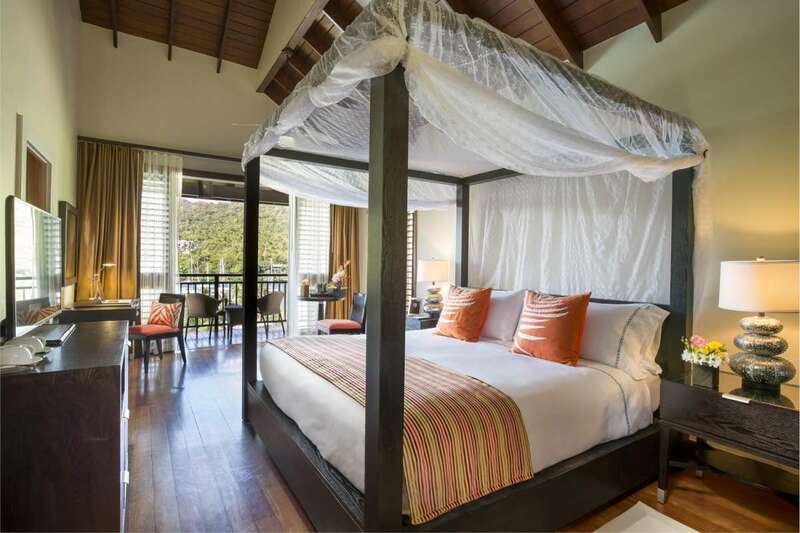 Four poster king size beds have mosquito nets and the large, black-tiled bathrooms generally come with wet rooms with oversized shower heads and fine toiletries. A few have baths too. Some rooms come with their own outdoor Jacuzzi built into wide verandas, and many have views over the bay and the large open-air kidney-shaped pool. There’s coffee and tea making facilities, a large TV, a mini bar and a safe. 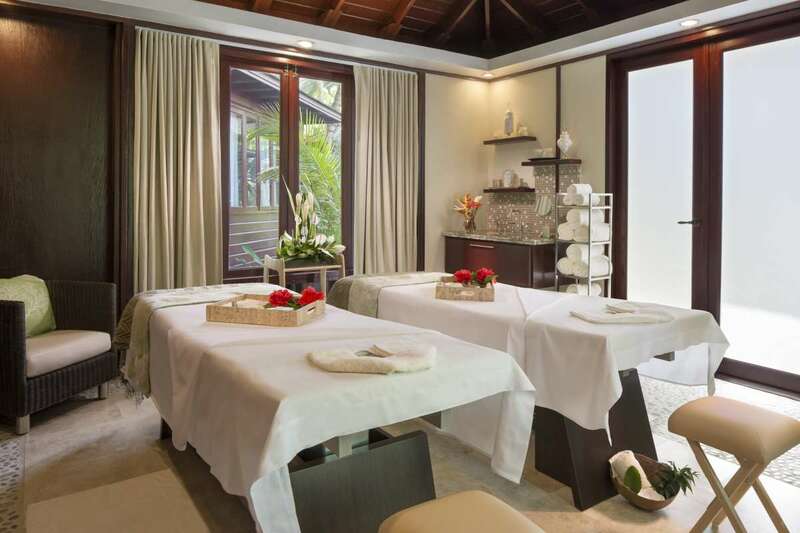 The Aurega Spa, named after a constellation in the northern hemisphere, has a sensational menu of massages, wraps and beauty treatments. Their signature treatments are based on the cycles of the moon, lasting 120 minutes. There’s a modern gym too and a beauty salon. 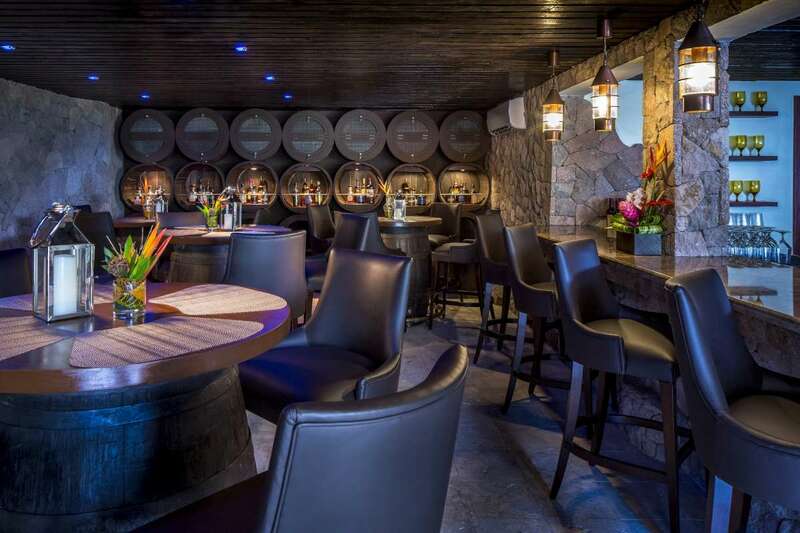 The Hurricane Hole has now been replaced with the with Rum Cave, its design reminiscent of a cellar. It’s new name reflects its extensive range of rums including locally distilled rums such as the Chairman’s Reserve, Admiral Rodney and 1931 – the best rum you can get. This is a small cosy space and tables are made from barrels and diners sit on high stools. Ambience is informal and the menu includes a selection of small plates (nine tapas style options) created for sharing. A short stroll across a bridge and a walkway that passes the sometimes extravagant yachts moored in the marina, leads to a quaint development of shops and restaurants. In the evening the marina is lit up and as the colours shimmer in the harbour water, its easy to get lost in the romance of the scene. There’s no doubt that the harbour and marina are beautiful, and there is a tiny beach opposite. Better still there is a 15-minute speedboat shuttle that can take you to Anse Cochon beach as part of the Capella experience. They throw in the towels too. You can snorkel there to get a gorgeous eyeful of the coral reef. Then visit Tet Paul Nature Trail where after a brief hike to the summit, a stunning view of the island’s majestic twin peaks, the Piton unfolds before you. based on two adults sharing.